Hornsea Writers: An Unexpected Tribute! Delight can be infrequent in these troubled times, so Stuart Aken was both surprised and, yes, delighted, when he received a notice from his publisher, Fantastic Books Publishing, the other day. Attached was a link to a video produced by a professional in the TV industry. 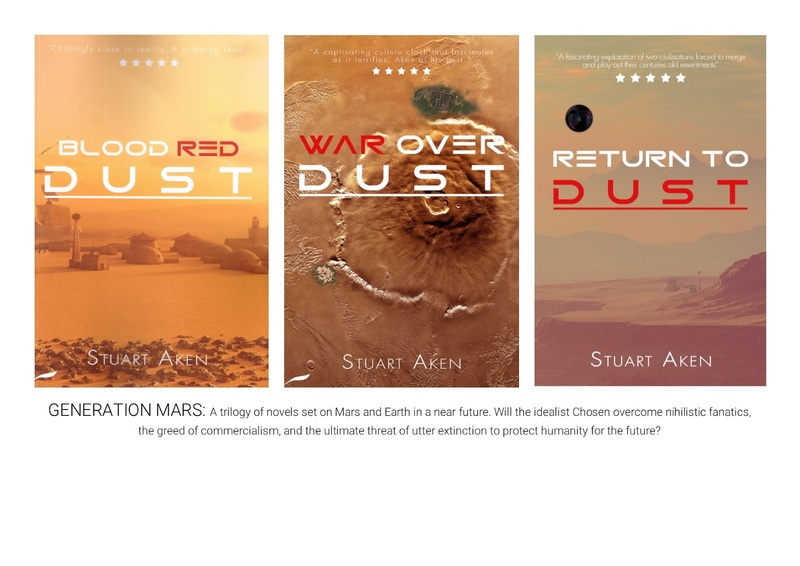 Ramon Marett from Adiq had wanted to try his hand at a book promotion video and decided to use Aken’s ‘Generation Mars’ series for the project. The author posted it on his website, and you can see the result via this link. Videos are a popular source of information for many potential readers, so he’s spread this one everywhere he can to get maximum benefit. He says it’s also had the effect of galvanising him into trying something similar for his other books! Watch this space. Has Your Festive Reading Been Up To Scratch?